Leased lines are ideal if you are looking for fast Internet access that will not slow down or stop even during periods of high traffic. Enterprises use Leased Lines to interconnect their important nodal centres such as primary data centre, back up the site, call centre and regional hubs. Hence, circuit uptime and scalability-on-demand become most important in such cases. You can use a leased line for some business applications, from SIP, VoIP, and Hosting to Internet VPN. Leased lines are dedicated private lines that connect your machines to the data centre; they are available in fibre or copper and deliver speeds from 2 Mbps to 1000 Mbps. We deliver a business-grade, end-to-end fibre from your premises all the way to our carrier-class Layer 2 VPLS 100GigE Network and leading-edge Internet gateways. We have invested more than 10 years in R&D and continuous service innovation to ensure our customers’ mission-critical applications and services are served by the fastest and most advanced Internet service in the UK. Even though a leased line might initially represent a slightly more substantial investment than a standard broadband connection, the benefits definitely outweigh the costs. You can avail high-speed, uninterrupted and guaranteed internet service 24/7/365 by using a leased line. You pay only for the bandwidth you need and no more while enjoying fast data streaming with several guaranteed upload speeds. Also, leased lines are provided by several suppliers, so you can pick and choose the one you want. You can easily configure leased lines with higher Quality of Service (QoS) parameters to ensure top priority for mission-critical traffic. 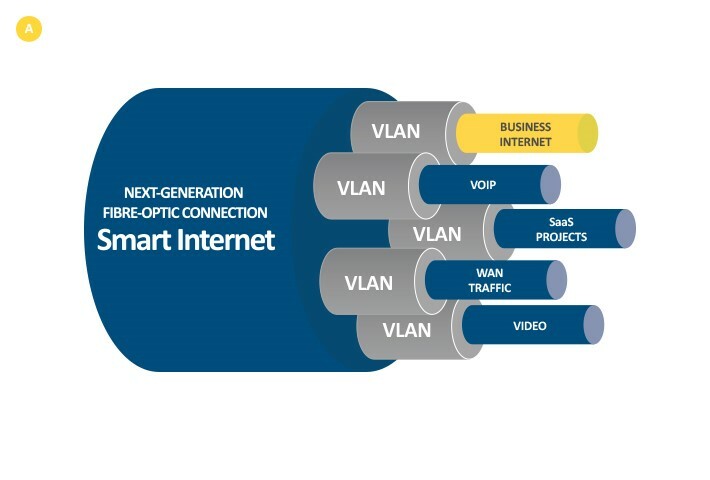 Multiple Services through a Single Connection: Our smart internet service converges all your mission-critical server and application traffic via a single pipe, which is served by the fastest leased line internet service available. 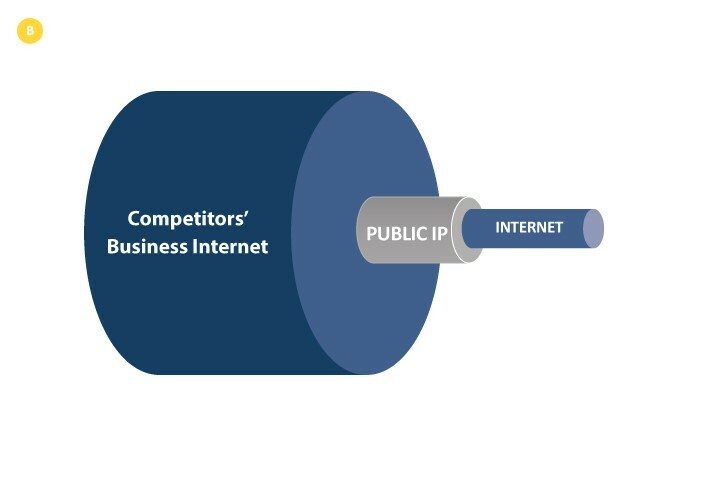 This means that your voice, video and data from various sources such as stock exchanges, internet, cloud, SIP are all converged and delivered through a single pipe. Smart Bandwidth Management: With our service, you can decide where to allot the most speeds and connectivity. You can monitor and control the use of your company’s internet usage, be preventing it from being wasted by employees on social media and so on. Smart Bandwidth Variation: Using our service, you can switch bandwidth as you see fit to cope with traffic peaks and troughs based on your company’s critical transactions.